The SARS interim PAYE Reconciliation Submission season starts on 01 September 2012. Ensure you prepare all mandatory information and update your payroll system before you perform your last payroll run in August. Softline Pastel Payroll’s range of Payroll software solutions software solutions are designed for a broad range of industries, providing Payroll and HR software packages that are flexible and feature-rich. Pastel Payroll’s software complies with the 2012 tax rates as announced by Pravin Gordhan in the Budget Speech. This includes the tax thresholds, tax tables and taxable portion of the travel allowance to name a few. 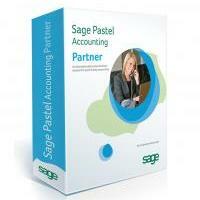 If you utilise Pastel Payroll software, you know that your Payroll is fully SARS compliant. Pastel My Paycheck Online - Innovative and easy-to-use online Payroll software package. Pastel MicrOpay - Super simple Payroll software package that is ideal for start-up and small businesses. Pastel Partner Payroll - Accurate and secure Payroll software processing that integrates seamlessly with the Pastel Accounting suite. modules with conventional payroll solutions. Our support and consulting team provides one-on-one on-site assistance on all your Payroll and HR Software queries. We also offer Payroll Training Courses , Workshops and Seminars. Our range of professional pre-printed payslip stationery will provide your business with security, assisting in keeping vital Payroll information confidential. Pastel Payroll offers an expert Payroll Outsourcing service. Our Outsourcing service is designed to relieve small and medium-sized enterprises (SMEs) of the burden of running a legally compliant Payroll department. In keeping with the changes announced in the annual budget speech, Pastel Payroll developed an Online Travel logbook which allows you to keep track of your travel claims throughout the year and view a summary at the end of the tax year. In addition, Pastel Payroll also developed an Online Salary Tax Calculator where you can simply enter your current monthly salary and allowances to view what your tax saving or liability will be in the new tax year. The Payroll & HR software that does it all for you.